Is the new iPhone too big for you? Don't worry. Apple might have you covered next year. Apple could offer a third new iPhone option next year, releasing an iPhone 7, an iPhone 7 Plus and a smaller iPhone 7 ... mini? Some iPhone customers are complaining that the 4.7-inch and 5.5-inch iPhones that Apple introduced in 2014 are too difficult to use with one hand or fit into their pockets. Many prefer the four-inch iPhones that Apple made in 2012 and 2013. KGI Securities analyst Ming-Chi Kuo, who is more often right than wrong with his Apple predictions, has forecast that Apple will release a new, four-inch iPhone in 2016. "As there is still demand for a four-inch iPhone, we believe Apple will upgrade this product line," he said in an analyst note this week. "We predict Apple will mass-produce this new four-inch iPhone in the first half of 2016." 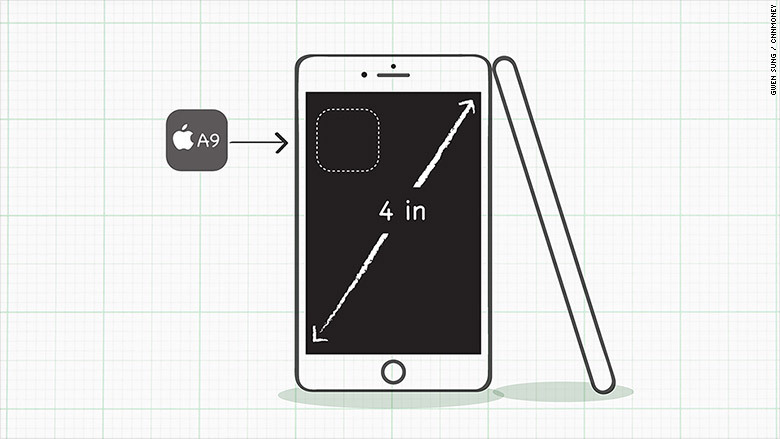 The next iPhone could be a four-inch model that replaces the iPhone 5S. MacRumors first reported the story. 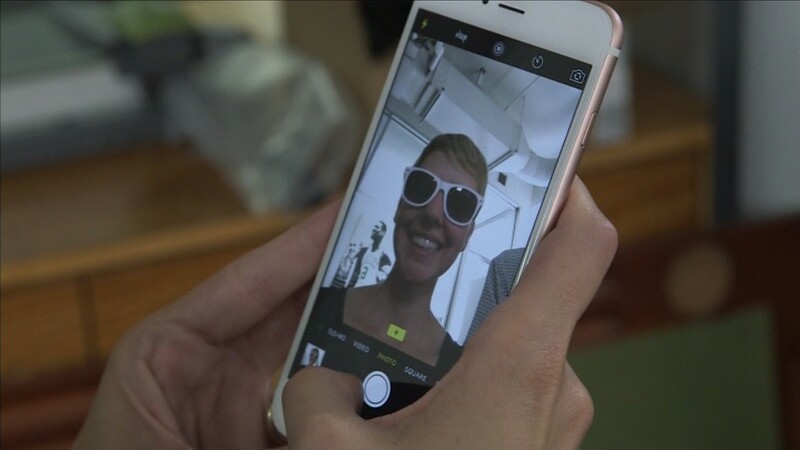 Apple (AAPL) still sells the four-inch iPhone 5S, which it debuted in 2013. But it is slated to be phased out next year -- when Apple launches new iPhones, it typically reduces the prices of the previous two iPhones and discontinues its three-year old smartphone. If Apple were to follow that course, it would continue to sell the iPhone 6 and the iPhone 6S next year, alongside the iPhone 7. There wouldn't be a four-inch version of the iPhone left on the market. Kuo said Apple could ship between 20 million and 30 million of the new, smaller iPhones through the end of 2016. He predicts that the smaller iPhone likely won't have some features of the bigger phones, including 3D Touch. But it would include the latest A9 chip to make the new version of iOS run smoothly. The small iPhone would also be encased in metal, according to Kuo. That means Apple will not repeat its experiment in 2013, when it introduced a plastic iPhone 5C, which never took off with customers.